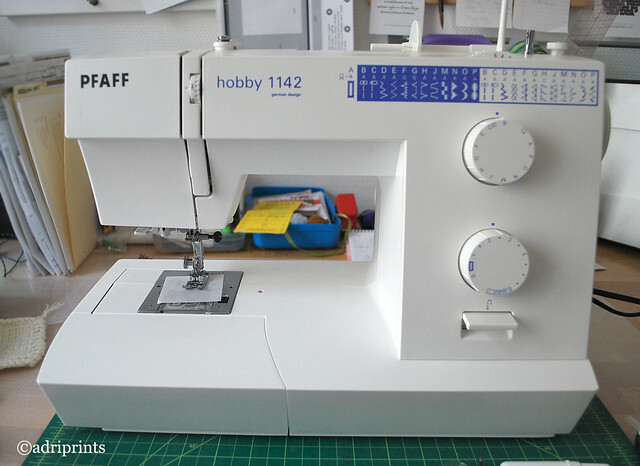 Introducing my new Pfaff Hobby 1142! May 3, 2011 Adri H.
It's here! My new sewing machine arrived last week, and I'm nearly done with my first project. I had a few delays, though. My instruction manual was in Italian, and the seller was German - so he sent me a German digital version. Both of these instruction manuals were really colorful and tantalizingly detailed... but I know sewing terms in English best! So, they sent me a digital version in English and I had it printed at a local copy place. I think it's one of those things best read without the aid of a computer screen, and so very handy to have in hard copy. I read through it. 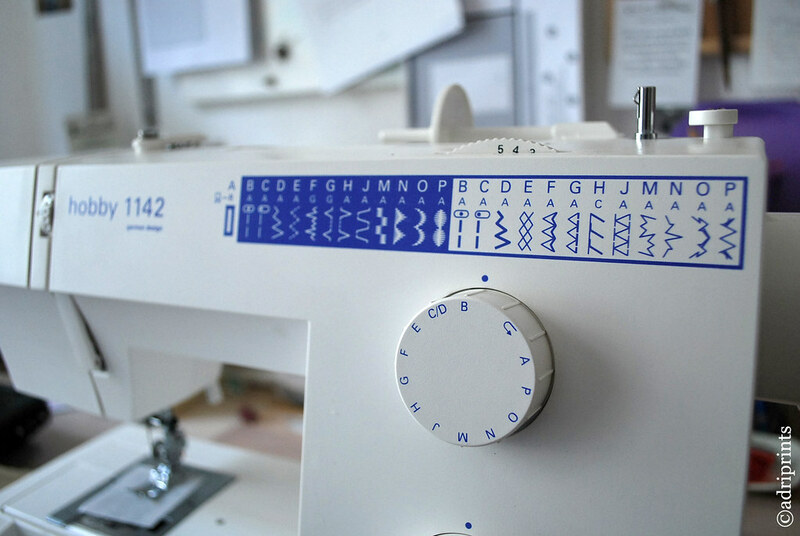 I am so excited about the overlock stitches and the automatic buttonhole features! I've already used the overlock stitch for my first test run project - a pair of pajama pants. 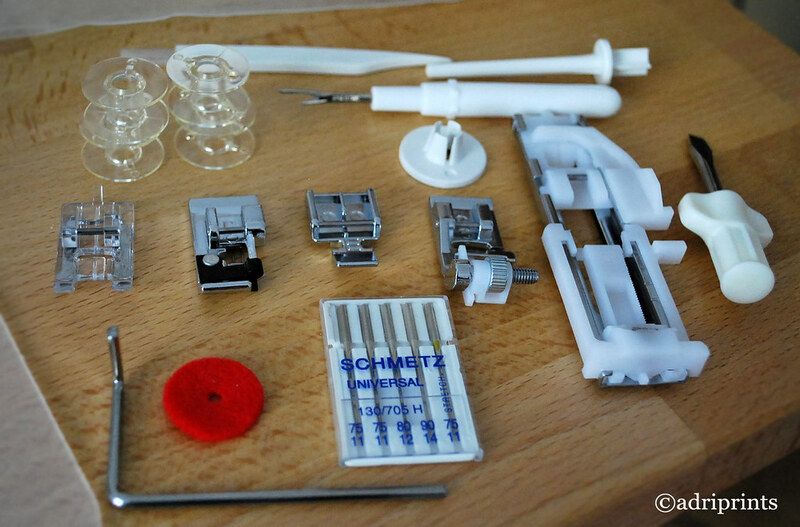 I intend to use the buttonhole maker as well for the drawstring holes! I'll post photos of the PJ pants when they're done... but for now here are the accessories and a close-up. Look at all those stitches!! Lovely foot options and accessories! Just realized the feet are facing away from you... sorry!